I read this article and found it very interesting, thought it might be something for you. 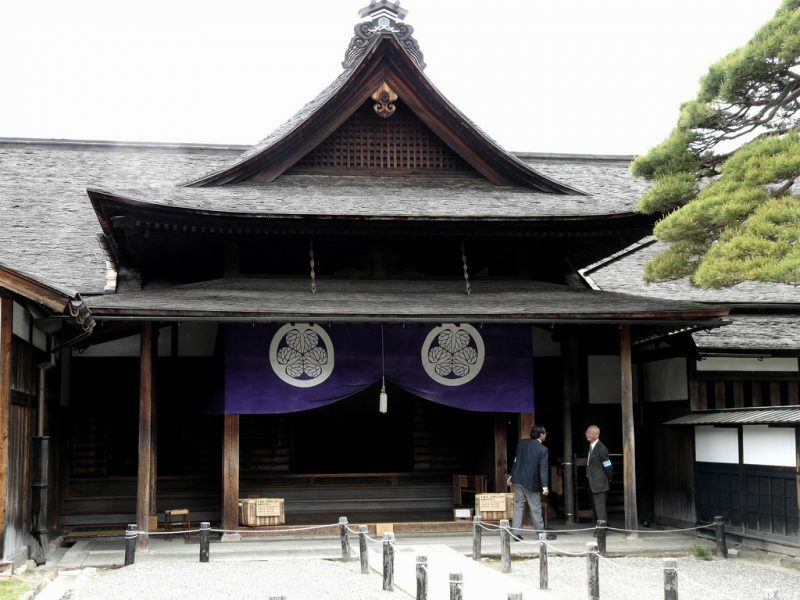 The article is called 30 Things To Do in Takayama and is located at http://trip-n-travel.com/listicle/19020/. If you want to visit a place with true traditional and rural elements in Japan, then you should go to Takayama. It is one of the rare cities in Japan with the wonderfully preserved old town. 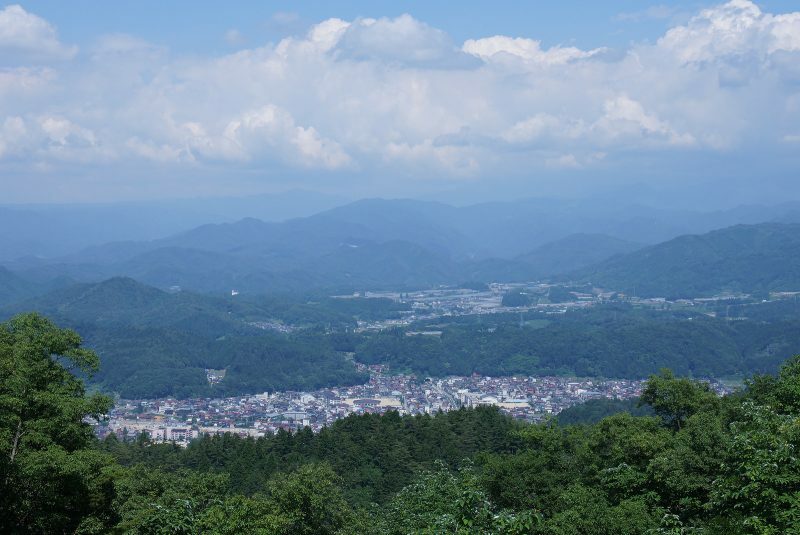 It is located in the mountainous region of Gifu Prefecture and besides the beautiful countryside offers many other things for those who decide to visit it. 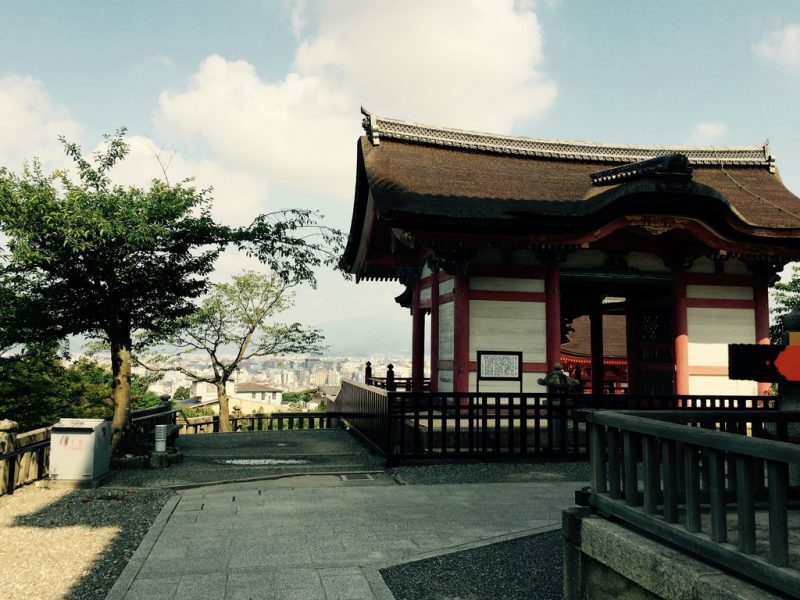 Here are some of the things you can do when you go to Takayama. 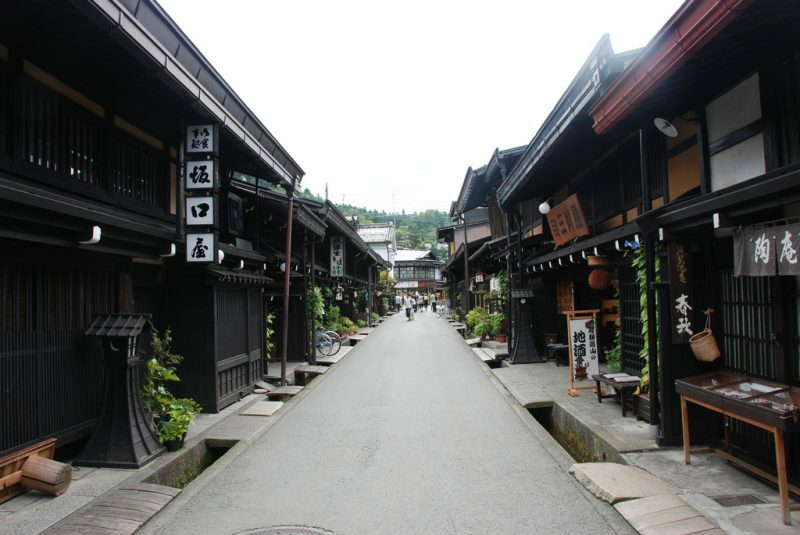 Takayama’s old town is the first site you should visit when you come to Takayama. This is a unique opportunity to see a beautifully preserved town with many original old buildings and streets from the Edo Period. It used to be a rich merchants’ town. 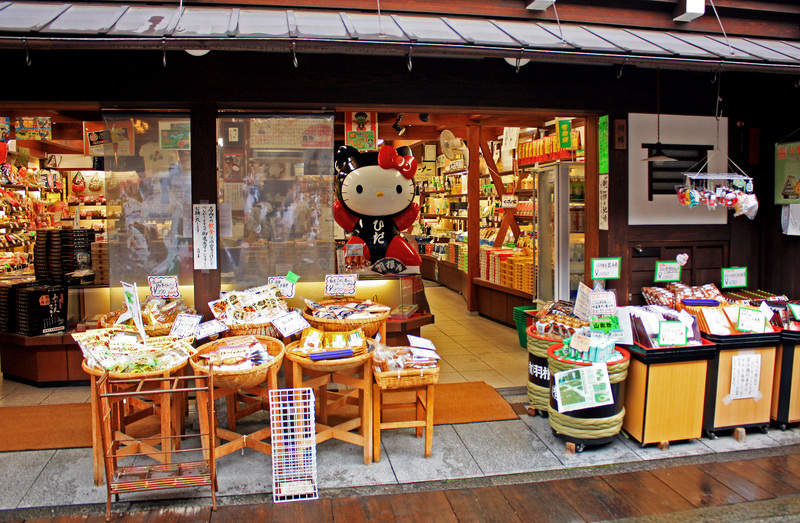 There are old shops, sake breweries and coffee houses that have been working for centuries. Some of the old homes are museums today where you can have a look at some of the traditional rooms, household items, arts and crafts. You can walk along the old town or you can choose to see everything from the rickshaw. 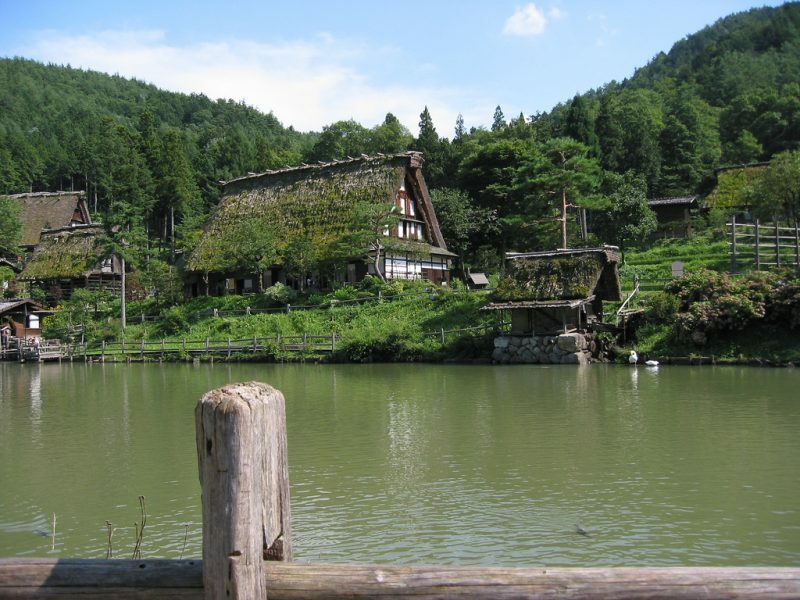 You will just love Hida Folk Village if you decide to go there. 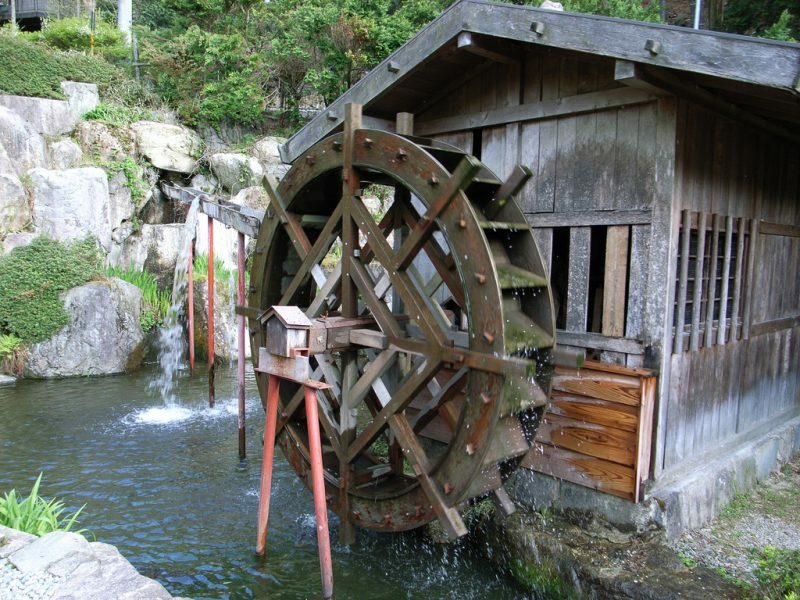 It is an open-air museum where you can see numerous houses from the Hida mountainous district. The old houses were relocated to this place in 1971. You will enjoy the atmosphere of an old village and the beautiful carefully preserved houses open for you to explore them. You will learn about the past life of the local people and see some of the utensils and tools they used in everyday lives. Three streets make Sanmachi Suji in Takayama. It is its renowned historic district. In the past it was a busy merchant area and today it is popular with tourists for its special charm and unique old architecture. 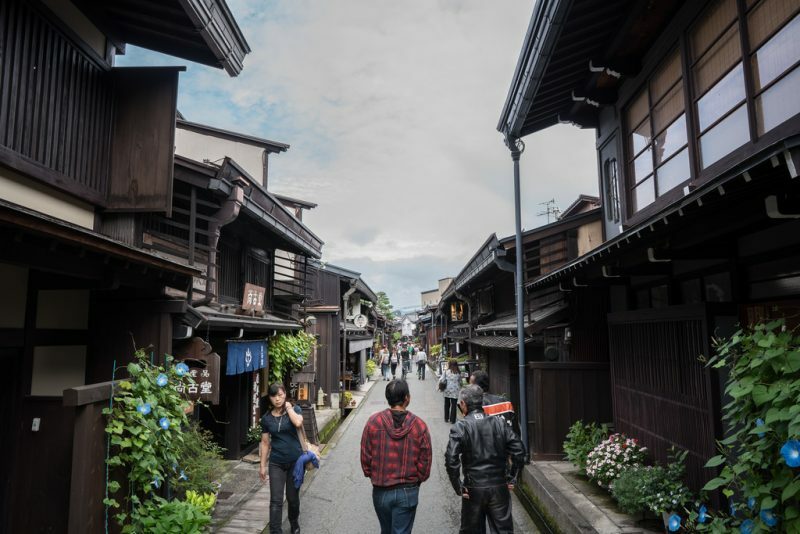 The streets are narrow and lined with traditional merchant houses, restaurants, craft shops and sake breweries. Some of the buildings are more than 400 years old. There are also some nice small galleries and museums there. Go back in time just by walking along the three streets and feel and touch a bit of history. 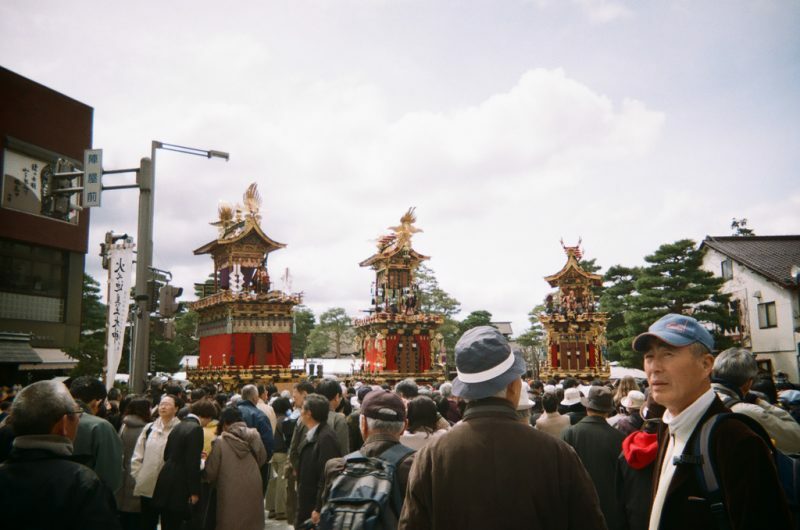 The Takayama Festival is one of the most beautiful festivals in Japan. Twice a year in spring, and then in autumn, numerous visitors come to the old Takayama town to enjoy this amazing event. People in Takayama are extremely proud of this great festival. Both festivals are lively with various performances and processions. One of the main attractions is karakuri marionette dolls. There are dozens of elaborately designed and decorated festival floats for each festival and you can see their replicas at the Matsuri no Mori museum all year round. If you don’t get a chance to attend the famous festival when in Takayama, you must go and see the Matsuri no Mori Museum. The name of the museum literally means ‘Festival Forest’ and it displays the key features of the Takayama Festival. The exhibition space in the museum is set underground, which gives it the mysterious cave-like atmosphere. There is a long hall leading you from the entrance to the underground space. Along the hall there are some replicas of the festival floats as well as some folding screens on which you can see floats from some other festivals. There are many entertaining performances throughout the day and you will certainly enjoy yourself. This is a building complex which once served as the local government office. They turned it into a museum and the tourists gladly visit it. It feels great to see such old buildings beautifully preserved up to modern time. There is the main building where you can see traditional tatami mat rooms that were used as offices, guest rooms or conference rooms. Next to it, there is a huge warehouse known as the largest traditional rice warehouse in Japan. There are exhibits of official documents, old maps, town plans as well as some of the belongings of feudal lords. You will enjoy going 400 years back in time! Opening Hours: 8:45 a.m. – 5:00 o.m. When you come to Takayama, you must definitely visit this museum. The museum exhibits art glass works, particularly Art Nouveau and Art Deco, and interior decorating lamps and furniture. There is the observation gallery in the museum where you can enjoy the beauty of the exhibits in the natural light. It is a place with a wonderful atmosphere where you can spend some enjoying time. There is even a café where you can relax between the exhibits, as well as a museum shop where you can buy some nice glass souvenirs and gifts. This was Takayama’s oldest temple, built in the 8th century and dedicated to the peace of the people. However, it was later destroyed by the fire but they reconstructed it in the 16th century. There are many historical treasures in the temple. It is a nice and quiet place with a great three-storey Pagoda reconstructed in the 19th century. There is an old ginkgo tree next to the temple which is really fascinating. People say it is more than a 1000 years old. The best way to take a look at numerous Takayama’s temples and shrines is walking along Higashiyama Walking Course. 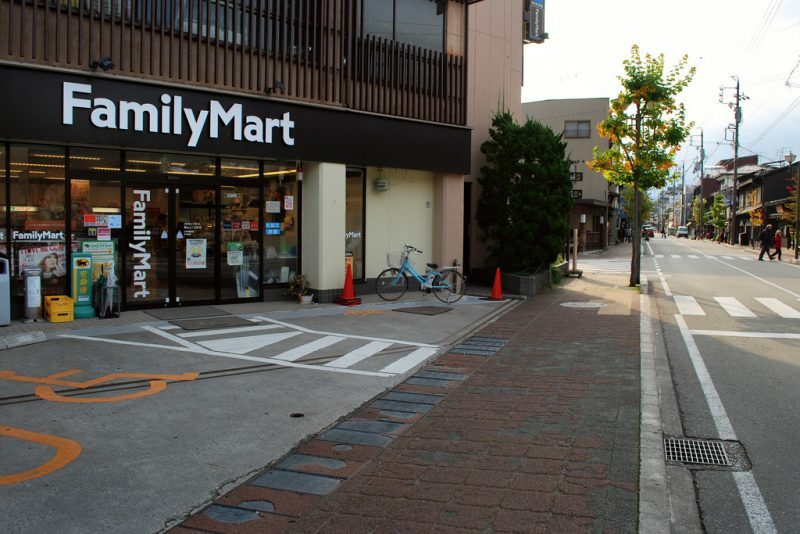 It makes an enjoyable walking route through Takayama’s rural suburbs. 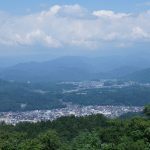 If you take this four kilometers long route, you will have a chance of visiting a dozen common shrines and temples and the Takayama castle ruins. You will enjoy the stunning beauty of the surrounding countryside, too. It is really a pleasant way to spend some time while in Takayama. Yoshijima Heritage House is a beautiful old Japanese house open to public as a museum. It is a great opportunity to get to know about people’s life in the past. The building originally served as a residence and sake brewery and the design and the quality of the wood are simply stunning. It is a must visit for all those design buffs. Opening Hours: 9:00 a.m. – 5:00 p.m.
You simply must visit this great puppet museum. Japanese have been making puppets for centuries and here and the Karakuri Museum you can see displays of some very old dolls. It also displays the dolls which are used on festival floats and there are puppet performances throughout the day at the museum. There is also an exhibition of more than 200 shishimai masks from all over Japan. This museum is set in the former storehouses. Their owners were some rich merchant families who ran the sake brewery and timber business. Today the place is a very interesting museum showing the history and culture of Takayama. The old buildings have been restored and there are now fourteen exhibition rooms with different themes such as traditional houses, Takayama festival, local art and the city’s history. 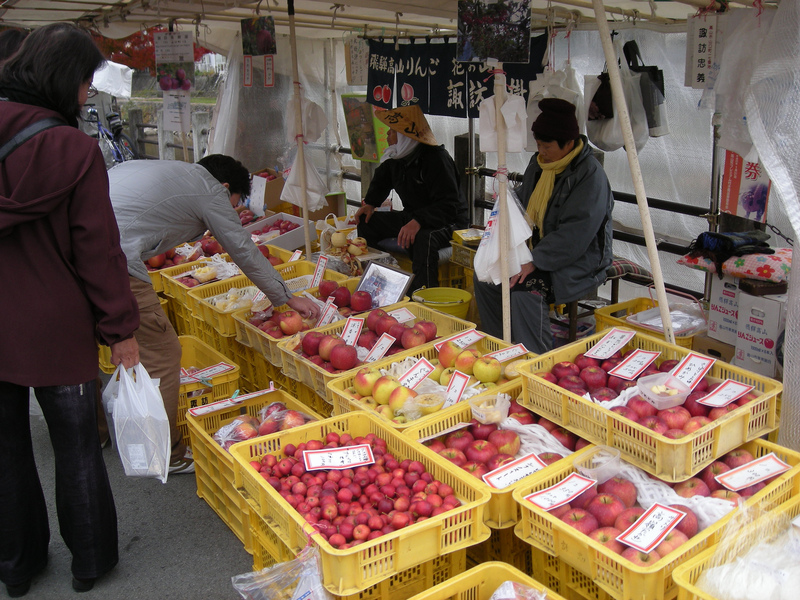 Opening Hours: 9:00 a.m. – 7:00 p.m.
Once you are in Takayama, you must not miss its two morning markets. They are held every day starting at about 6:30. 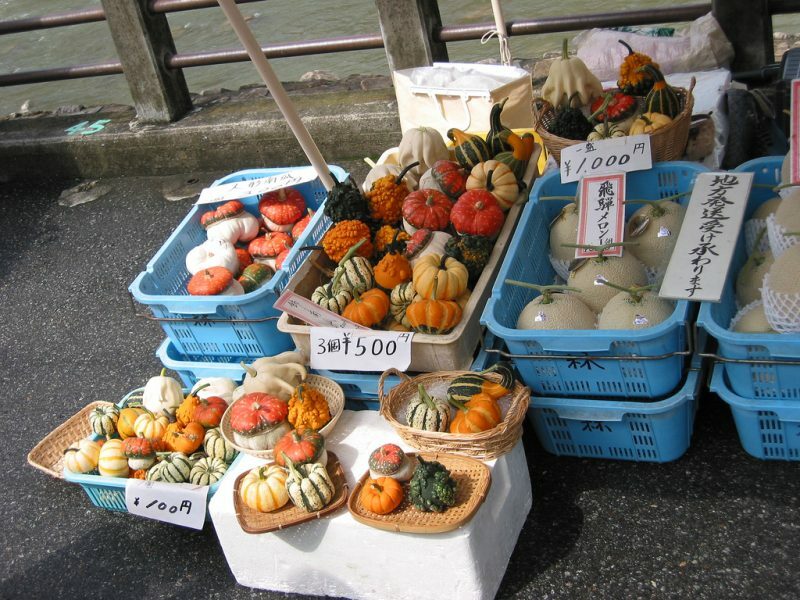 One market is in front of the Takayama Jinya, and the other is along the Miyagawa River. The atmosphere at the markets is great and you can buy some local handicrafts and farm products such as famous pickles or fresh fruit, vegetables and various snacks. Some stalls sell traditional souvenirs such as chopsticks and other small goods together with local souvenirs like sarubobo dolls. It is a traditional shopping place, extremely lively and makes a great experience. Takayama city center is located by the Miyagawa River and it is the main shopping area. It consists of several shopping streets set in the beautiful surroundings. There are nice souvenir shops and restaurants as well as some useful shops for everyday necessities. There are fashion shops, and some health and beauty salons, too. You will enjoy shopping in this fabulous historical part of the town. 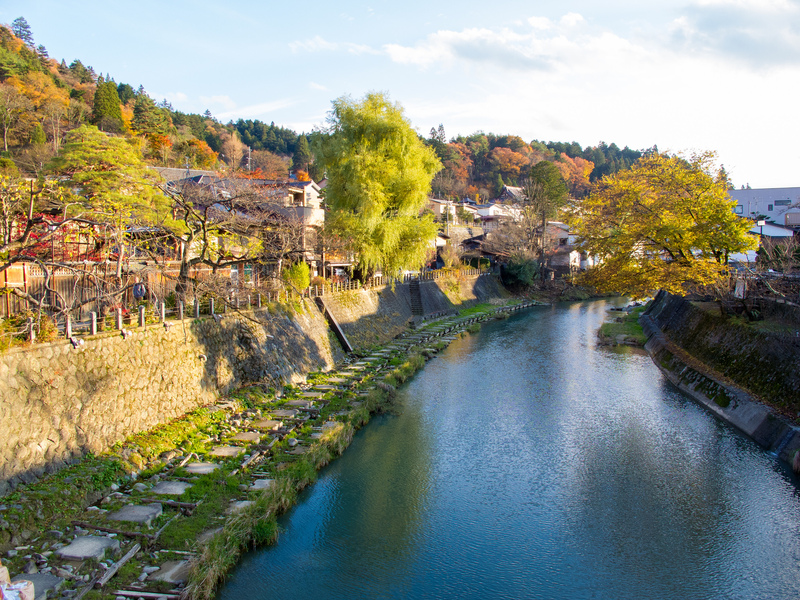 Once you come to Takayama you will notice that, although there are many amazing temples, shrines and old traditional buildings, its most representative landmark is actually Nakabashi bridge over the Miyagawa River. 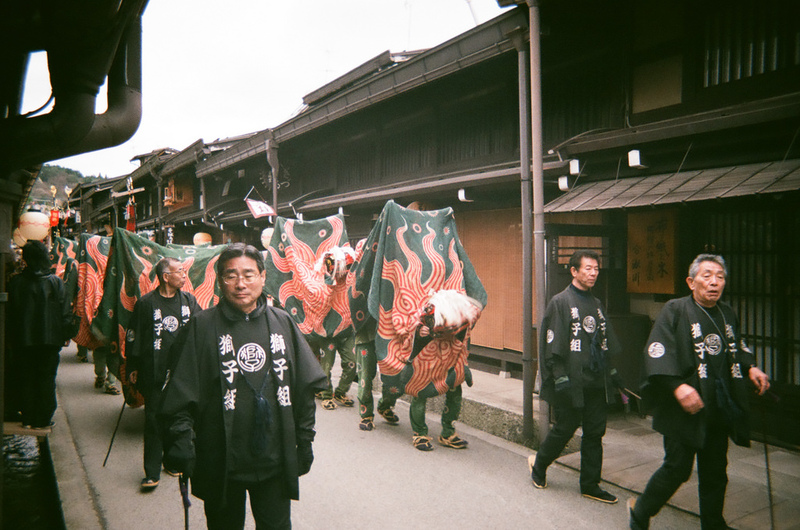 You can see it in most photos representing Takayama and especially its Festival. The bridge itself is extremely beautiful with the wonderful red colour and it is particularly attractive during sakura. On the eastern side of Takayama you will notice an interesting hilly area. It is one of the most beautiful places around the city and you must visit it. 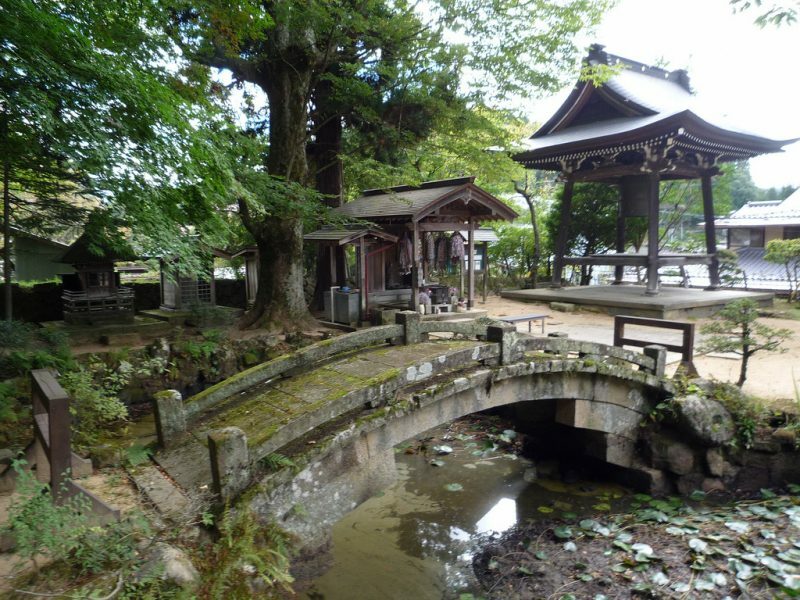 It is a spot with numerous historical temples and it was created to resemble Kyoto. The Old Town of Takayama is usually crowded and noisy. When you get enough of that, this is the right place to go and relax. Its peaceful atmosphere will delight you and you will simply enjoy sightseeing and the lush greenery. If you want to run away from the city for a while, you should visit Shiroyama Park. Its wilderness will make you forget all the city hustle. The park is a huge green space featuring a wonderful playground for kids as well as for adults. 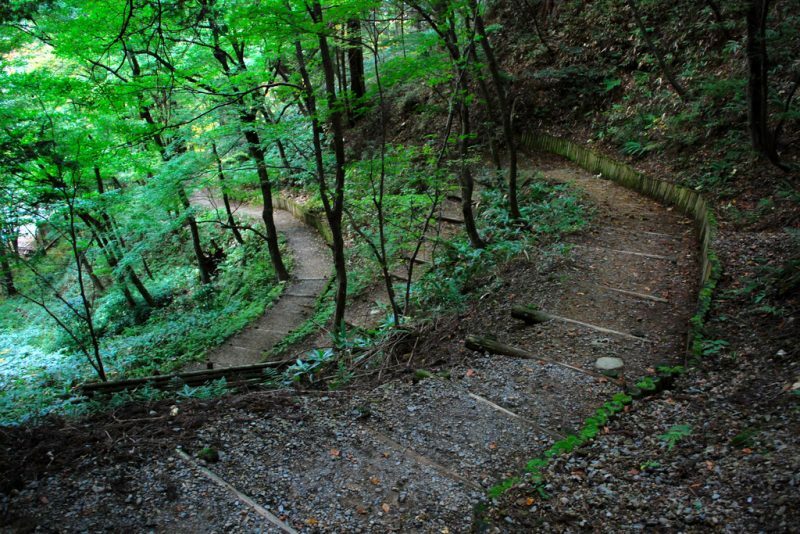 Along the steep paths, you can get to Shorenji Temple and then straight into the forest. The climb along the steep and narrow paths through the forest can be a bit difficult, but the views you get are definitely worth it. Takayama is located in the beautiful Japanese Alps and makes a great getaway from the big cities of Nagoya and Kyoto. After long sightseeing and shopping, you might need something to calm down the pain in your feet from a long day of walking. There is a perfect solution for you. All around Takayama, there are some nice and free footbaths, just take a map and look for their locations. They are usually located next to a hot spring or in some hotels. This is definitely a must-do when you come to Takayama. The Shinhotaka Ropeway is Tokayama’s aerial lift system with double-deck gondolas that will take you up above the clouds more than 2,000 meters above sea level. 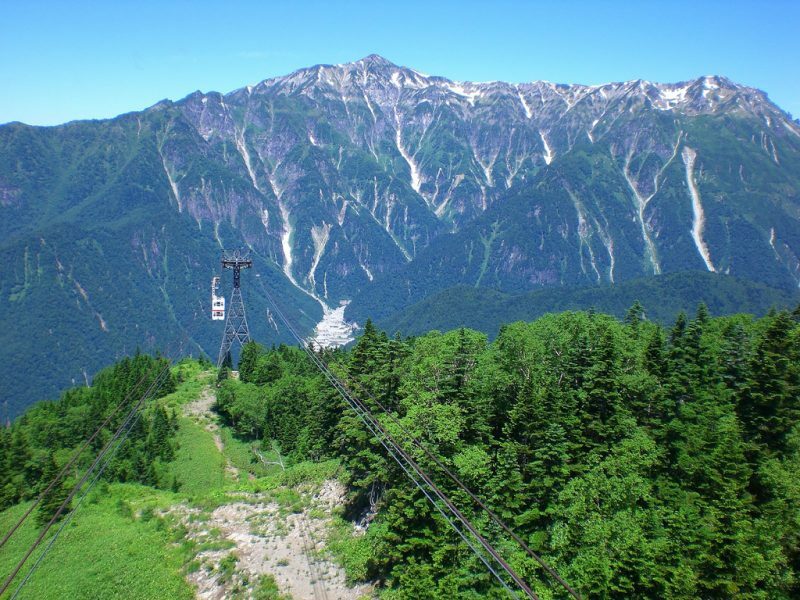 This is the best way to get the wonderful scenic view of this part of the Japan Alps. The view you get from the observation deck at the mountain will leave you breathless. You will enjoy, no matter the season. Each season offers stunningly beautiful landscapes. This wonderful cavern is set 800 meters below an attractive waterfall. This is the only place in Japan where you can see one can see helictites. They are probably the most delicate cave formations. It is also the highest ice cave in Japan. You will enjoy every moment there. There is also a small museum nearby where you can see a nice collection of Japanese craft and art. This old building served as a warehouse, but today is it a folk craft museum. 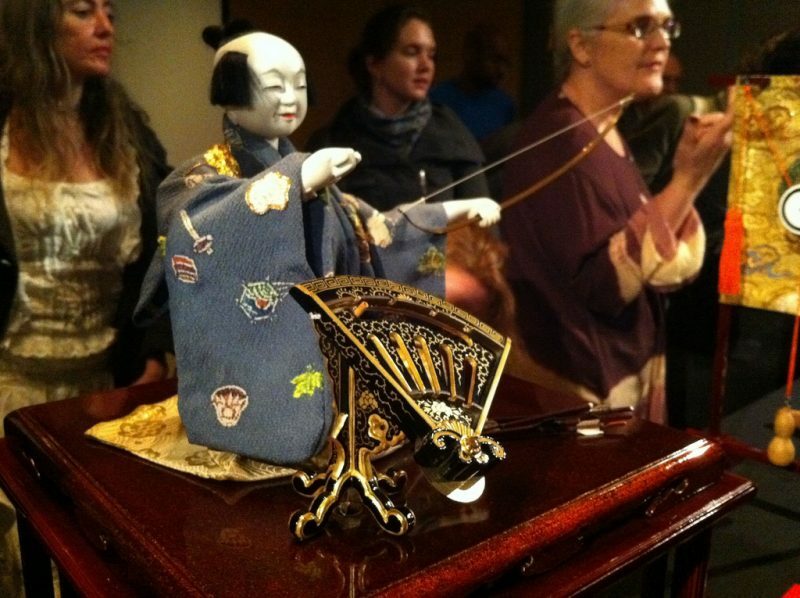 This is a perfect place to see displays of beautiful local wood carvings and lacquer ware. You will enjoy the exhibits and the building itself. Its architectural style is really authentic and impressive. You will find numerous interesting everyday artifacts such as traditional clothes, combs, tools and carved items. You can also enjoy some green tea in their Zen garden there. Takayama is famous for producing superb sake. There are numerous different types and flavors of this traditional drink, so you should sample some of them here, especially if you have never did that before. Every year in March, there is a festival presenting the new sake brews of the year with parades, traditional dances and free sake. 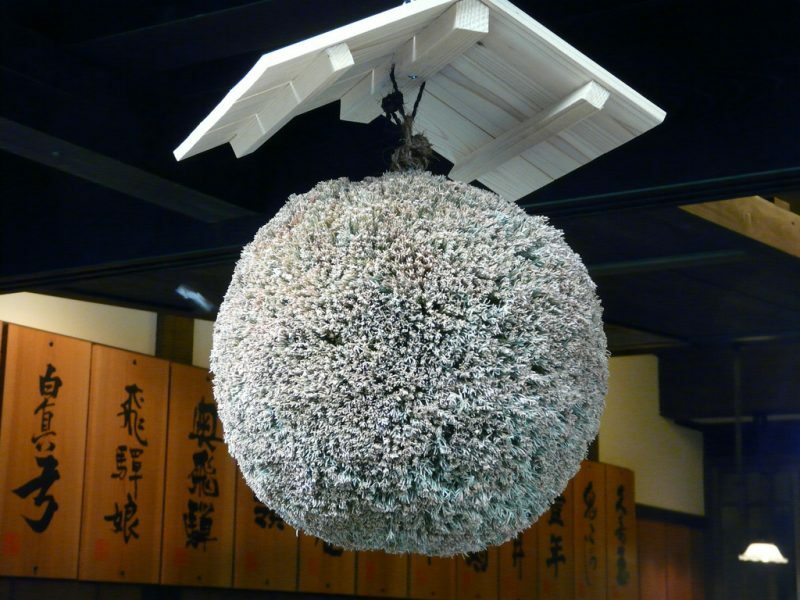 You can find many sake breweries in The Old Town and you will notice that they all have the same sigh: huge balls made of cedar branches hang under their roofs. This might be a very interesting place to visit. It is a bit odd, family-run museum with exhibits of all kinds of memorabilia from Showa Period. They have collected items from almost all aspects of life from this period. You can see old movie posters, appliances, farming equipment, toys, vintage cars, to name just a few. You can walk through a retro city street, or visit a recreated restaurant, barbershop or doctor’s office. As you might know, ramen is the most popular dish in Japan, and every district has its own specific variety. Takayama’s ramen is ‘chuka soba’ and it is a Chinese-style dish prepared with a soy base and some wavy wheat noodles. There are many places in Takayama where you can try their ramen and they usually have English menus. 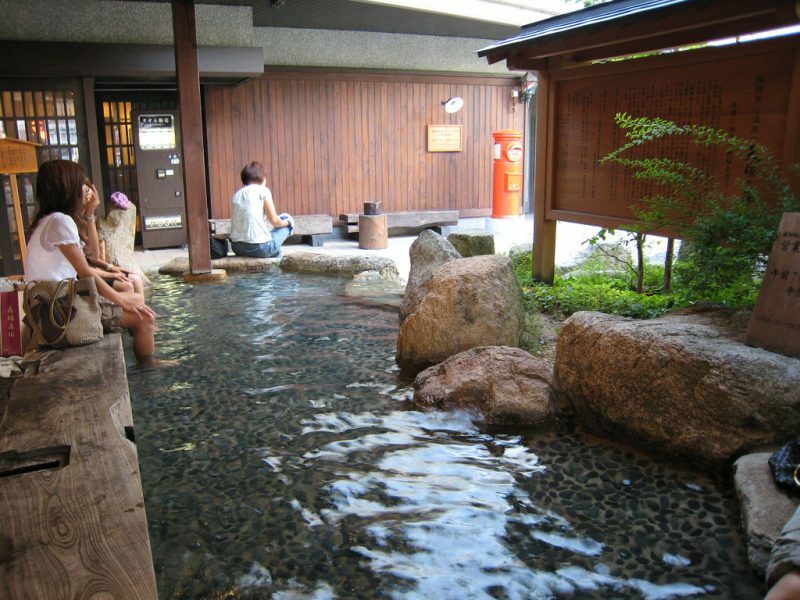 One of the great things you can do when you come to Takayama is take a day trip to Gero Onsen. It is a short ride away from the town and you are sure to have a great time there. Gero Hot Spring is one of the three greatest hot springs in Japan and people have been using it for more than a thousand years. There is an old legend about this Onsen. It says that a long time ago an injured egret flew there to heal itself and thus showed the humans where the spring was. That is why you will see many souvenirs with the image of this bird. 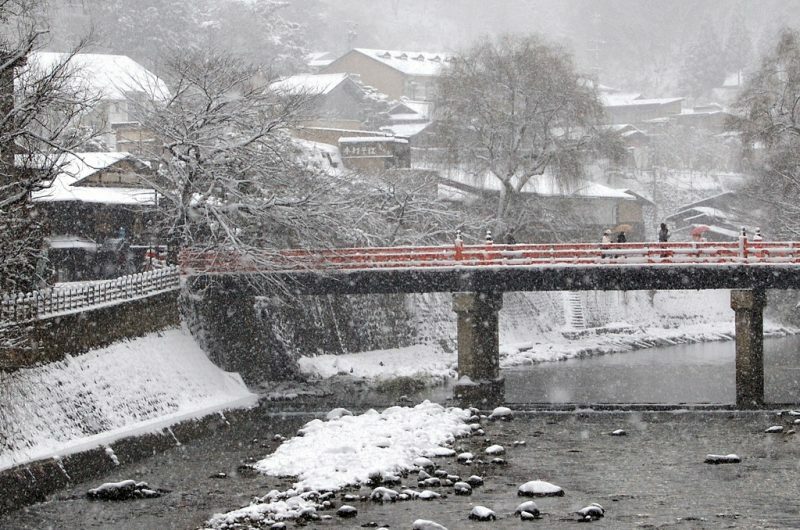 If you visit Takayama in winter, you will also have so many things to do. There are numerous skiing resorts near Takayama open during the winter season. You can choose to go skiing or snowboarding, or just trekking if you like. Of course, it is always the right time to go sightseeing. The beauties of the surrounding mountains are known world-wide; and let us not mention the wonderful powder snow in Japan. Shirakawa-go’s historic village Gassho-Zukuri is registered as the World Heritage Site and it is just 50 minutes ride away from Takayama. You will probably regret if you do not visit it. That is why you should put this place on your list of things to do when in Takayama. You will love gassho style of the buildings with steep, thatched roofs. The houses are unique and they were built to endure the heavy snow in winter. They are excellent examples of how life can be perfectly adapted to the environment. Hida Takayama Teddy Bear Eco Village is the first museum of this kind in the world. It is set in a restored, two centuries old gassho-zukuri farmhouse and it sends environmental messages through the precious collection of these toys. There are description cards in English that help you understand the point of the museum and its messages. This wonderful mountain is found at the east of Takayama and there are buses from Takayama station that can take you there. Going there will be one of the best experiences of your life since it is a, more than 3,000 meters high, mountain of outstanding beauty. Getting to its summit will leave you breathless. There are numerous scenic spots with lush forests and cascading waterfalls and you can enjoy walking along its attractive hiking trails. There are also a few beautiful hot springs in the area. You can go on an organized food and culture tour with a local guide. It can be really entertaining and educational. You will walk down the streets of this marvelous town and the guide will help you understand Takayama’s history and culture. He will take you to the various food stops where you can try local delicacies or to great breweries to savor some nice sake. 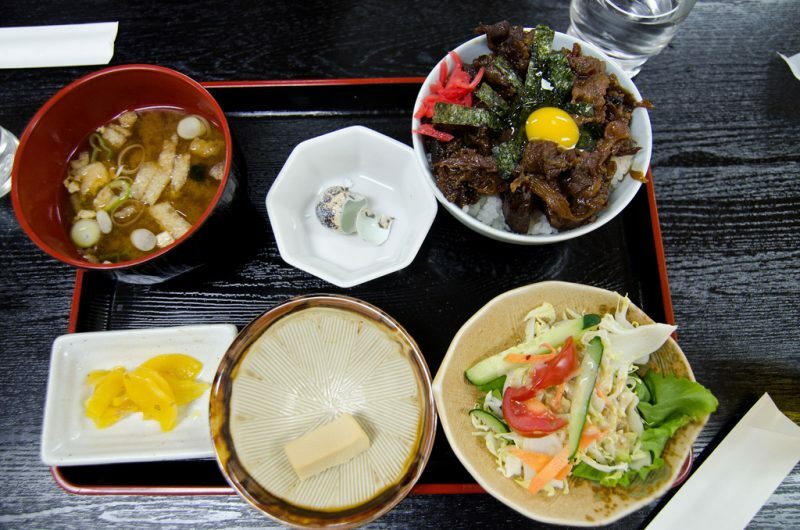 You will definitely learn more about Takayama through its specific food. As you can see, Takayama is a unique place, culturally completely detached from the other parts of Japan. Although it is not a big city, it still offers a lot to see and do throughout the year.